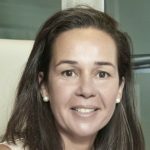 International guide to the world’s leading law firms, IFLR1000 (International Financial Law Review 1000), has included Sue Abogados for their 2014 edition in Spain’s most relevant law firms within the legal specialty of insolvency law (Restructuring and insolvency), and has ranked the firm under Band 5, one level beyond its 2013 ranking edition. IFLR is edited by Legal Media Group-Euromoney, one of the most prestigious peer review guides together with Best Lawyers, Chambers and Partners and Legal 500. In their latest publication, IFLR100 has highlighted Sue’s law firm increasing scope of business and “impressive growth” of the firm’s framework, in a time where Spain’s large law firms are reducing their size.